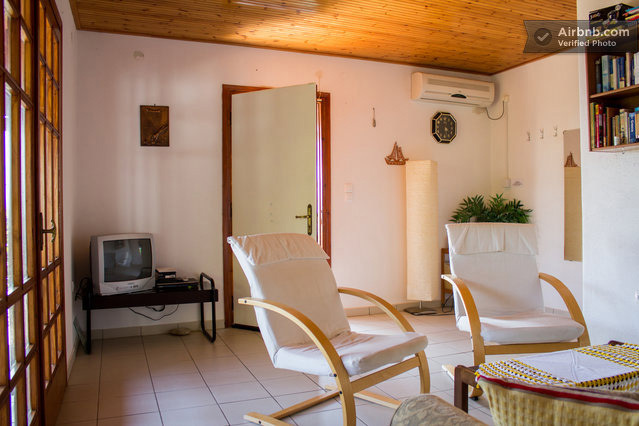 Situated at Dilhso 5 minutes from Nea Styra. Just 150 m from a secluded safe beach of sand and shingle in its own delightful gardens is our lovely house. Our Greek house looks over the Evokian Straits back to the mainland and has stunning sunsets where the sun sinks slowly behind the mainland mountains across the island dotted bay. Dhiliso hamlet is 10 minutes’ drive from Nea Styra. It is a collection of little houses leading down to what is virtually a private beach for the house owners most of whom are residents of Athens and these are their holiday homes used during the weekends and Summer months. Our holiday house consists of a ground floor that is built back into the hillside with low ceilings affording a cool retreat. Downstairs here is an open-plan sitting area (with two single futons that can be used for sleeping) and dining area, well-equipped kitchen with a full cooker and fridge freezer. There is also a bathroom with a corner bath. The upstairs has higher pine clad ceilings and consists of a good-sized living room with easy chairs and a double bed/settee. There is a TV here on which you can play DVDs from the collection at the house. There are French windows leading to the balcony which goes round 3 sides of the house. There is air-conditioning in the living room which also reaches the two adjoining bedrooms. The twin bedded room looks out across the side to another bay. 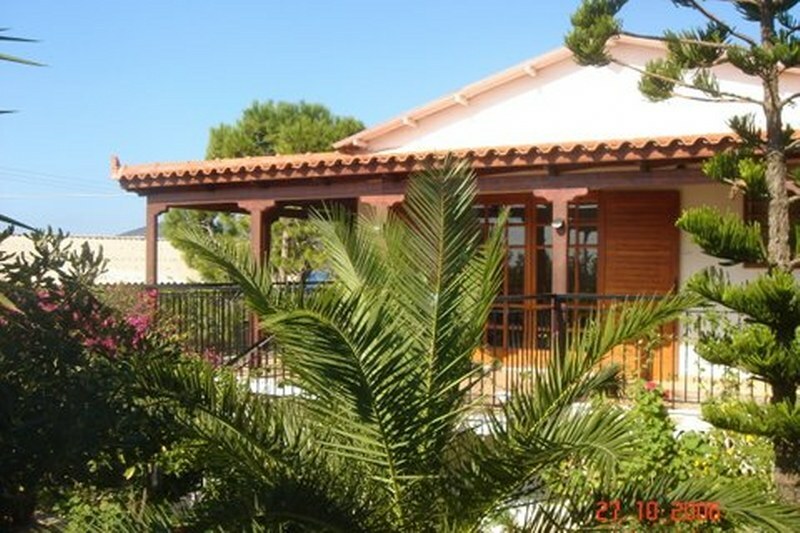 Outside is a large area paved in Karystos stone, shaded by a pine tree and with views to the sea. The washing machine is situated under the steps that rise to the first floor balcony. The roofed balcony runs round three sides of the first floor of the property thus ensuring there is always some shady area in which to sit and take in the views to the hills or out across the bay towards the mainland. 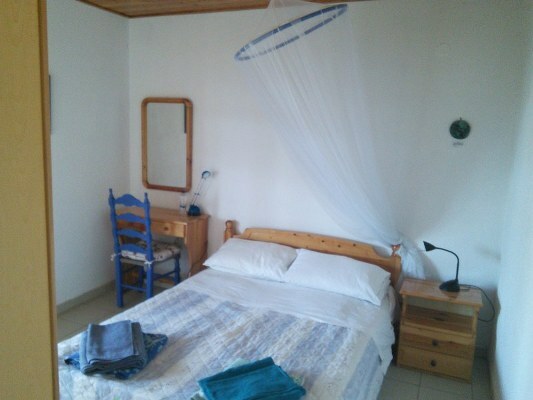 All bed linen and towels are provided as well as a welcome pack of some basic provisions. The house is cleaned twice a week. Visitors are given a contact number of an English speaker in case of problems and the local residents are friendly and helpful. Before you leave we email you an information pack which includes details of how to get to our Greek house and lots of useful tips about the places to go, the tavernas in the area and a load more useful information that should help to make your holiday more enjoyable.